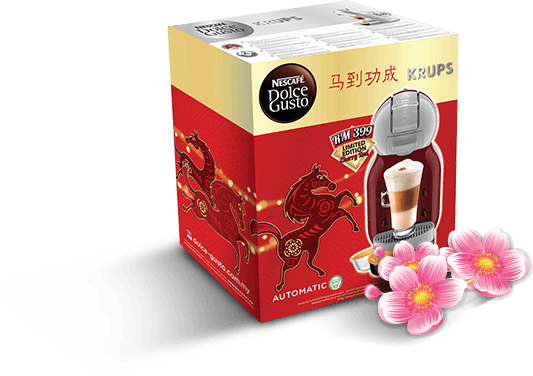 We were tasked to boost sales of NDG Mini-Me Coffee Machines during the 2013 Chinese New Year period. We had to manage this with no prior analytics data, within a campaign period of only three weeks, while also making efforts to integrate the campaign with the existing e-commerce site and other agencies. We started by gathering the analytics data needed to formulate our strategy in order to capture the target market of the 18-45 year old Chinese. Next, we formulated a sales campaign using Facebook Web Conversion and Google AdWords to drive traffic through a microsite which would be the primary platform to drive sales. We then created a total of 17 web banners and 4 different landing pages to help us start testing and optimising our approach to identify and implement the highest converting combination. Our testing showed that the Feng Shui angle would be most effective in gaining conversions. We would ask users to key in their date of birth and they would get their Feng Shui reading for the entire year. Using the Feng Shui reading results, we recommended the choice of NESCAFÉ Dolce Gusto machines based on the reading. This was intended to create sales opportunities. We also developed our media buying strategy to drive traffic to this platform via a combination of social media platforms like Facebook Ad Posts, Google AdWords and web banners through using popular keywords. We started by gathering the analytics data needed to formulate our strategy in order to capture the target market of the 18-45 year old Chinese. Next, we formulated a sales campaign using Facebook Web Conversion and Google AdWords to drive traffic through a microsite which would be the primary platform to drive sales. We then created a total of 17 web banners and 4 different landing pages to help us start testing and optimising our approach to identify and implement the highest converting combination. Our testing showed that the Feng Shui angle would be most effective in gaining conversions. We would ask users to key in their date of birth and they would get their Feng Shui reading for the entire year. Using the Feng Shui reading results, we recommended the choice of NESCAFÉ Dolce Gusto machines based on the reading. This was intended to create sales opportunities. We also developed our media buying strategy to drive traffic to this platform via a combination of social media platforms like Facebook Ad Posts, Google AdWords and web banners through using popular keywords. This campaign led us to becoming a finalist in the Best Idea – Online category at the 2014 Markies Awards. We achieved the highest engagement rate in the region and our fans grew from 0 to 141,000 in less than 8 months. We effectively gave a 611% Return on Investment simply by optimising our creative approach and execution, then supporting it through effective media buying to achieve a significant increase in sales for our client.